ONE day, as Our Lord was walking by the Sea of Galilee, He saw, sitting at the receipt of custom, Matthew the publican, whose business it was to collect the taxes from the people for their Roman masters. Jesus said to him, “Follow Me;” and leaving all, Matthew arose and followed Him. Now the publicans (or tax collectors) were abhorred by the Jews as enemies of their country, outcasts, and notorious sinners, who enriched themselves by extortion and fraud. No Pharisee would sit with one at table. 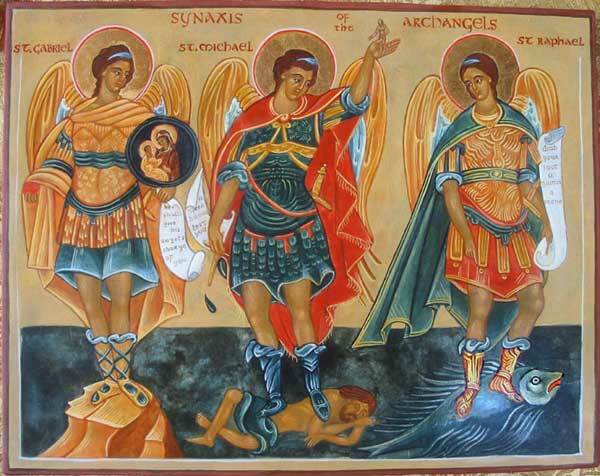 Our Saviour alone had compassion for them. After the Ascension, St. Matthew remained some years in Judæa, and there wrote his gospel, to teach his countrymen that Jesus was their true Lord and King, foretold by the prophets. 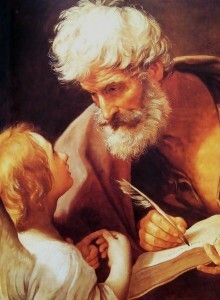 St. Matthew afterward preached the Faith far and wide, and is said to have finished his course in Parthia.